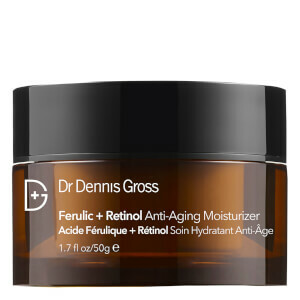 Combat loss of elasticity with the Dr Dennis Gross Ferulic and Retinol Wrinkle Recovery Overnight Serum; a potent formula that works while skin is most receptive to repair. Effortlessly smoothing over skin, the anti-ageing serum helps to recover the look of firm and youthful skin, whilst you sleep. 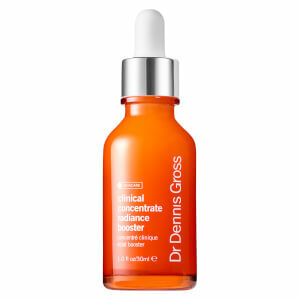 The effective serum is enriched with a time-released dose of Retinol, which supports skin’s natural repair process. 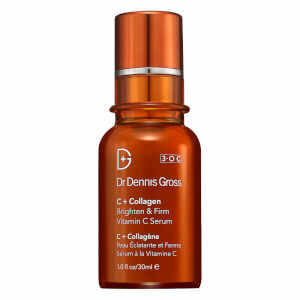 Its blend of Retinol, Ferulic Acid and Niacinamide visibly re-texturises the complexion in order to smooth the appearance of fine lines and wrinkles, whilst evening the look of skin tone. 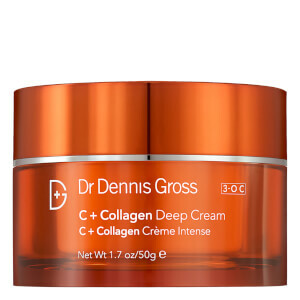 Expect to awake to a refreshed and rejuvenated visage that is healthy and youthful. Free from cruelty and parabens. Vegan friendly.